When we last left off, we were going on a safari. So, let’s continue on in the jungle. Shall we? First up is Rafiki’s Planet Watch and the Wildlife Express Train. The train ride is pretty basic with next to no narration. So, you can just sit back, relax, and enjoy the views of Animal Kingdom! Then you depart the train for the interactive portion of Rafiki’s Planet Watch. I guess EPCOT is not the only theme park with educational value! Do you get the feeling that Disney’s Animal Kingdom is basically a zoo with rides and shows? Habitat Habit! is another walk through experience of an attraction. Of course, all of this zoo like experience is done with the Disney magic! We’ll skip past Asia and head over to Dinoland USA so we can finish this trip visiting Everest. For now, we’ll take this guided tour of the Boneyard. This is clearly a kids play area. Definitely more fun if you’re a kid and are actually there in person. Okay, I’ve got to admit that this video made me laugh. Why? Fossil Fun Games is essential a carnival in the Animal Kingdom. For me, this part of Animal Kingdom seems completely off theme. Finding Nemo The Musical is a really cool show for those of us who loved the movie. When I was on my honeymoon, we went to Disney’s Animal Kingdom specifically so I could see this show. I love that there’s a video of the entire show. It’s a bit long for a theme park show. However, this show is totally worth the time! Tricera Top Spin is basically the Dumbo attraction at the Magic Kingdom/Disneyland, only you’re on a Triceratop instead of a flying elephant. From dino themed Dumbo, we move along to dino themed Goofy’s Flight School roller coaster. Primeval Whirl totally feels like Goofy’s Flight School Roller coaster. Doesn’t it? Hey, here at virtual theme park trips, we do everything. Even the silly things. Welcome to Jurassic Park! I mean….Dinosaur. Or is it Indiana Jones and the Temple of the Forbidden Eye? It was kind of crazy watching this video. The queue line has some similarities to the Jurassic Park attraction at Universal Orlando. The ride vehicle looks exactly like the one from Indiana Jones and the Temple of the Forbidden Eye at Disneyland. I’m sure the video doesn’t do this ride justice. After all, with dark rides, it’s hard to find a good video. With Dinoland USA behind us, we venture off to our final land…Asia. First up the Flights of Wonder show. The Maharajah Jungle Trek is yet another adventure experience that is very zoo like. There are so many different kinds of living creatures to experience at Disney’s Animal Kingdom! The cool part of these kind of wandering adventures is that you get to control the pace in which you experience it. The Kali River Rapids looks like a crazy, wet and wild ride. The great thing about virtual visits is that you can ride without getting wet! The last attraction is one that some might make their first attraction on this part of our virtual trip…Expedition Everest. I’ve put a somewhat longer video that captures the entire experience…the walk to the attraction and the queue line. There are so many details in the que that you should take the time to see them. This is THE attraction that most come to Disney’s Animal Kingdom to experience. Enjoy the video. We’ll close out our time at Disney’s Animal Kingdom with a parade that is no longer running…Mickey’s Jammin’ Jungle Parade. Here’s a fun fact to close our time out…On my honeymoon, Brooke and I got selected to be in the Mickey’s Jammin’ Jungle Parade! We were one of the people riding in a parade vehicle, waving at the crowd. True story! With the ending of the parade, our time in theme parks at Walt Disney World has come to an end. However, our virtual trip to the Walt Disney World Resort is not over. As you all know, there is much more than just theme parks to a Walt Disney World vacation. So, I’ll be back next week with a virtual trip to Blizzard Beach. Yes, there are videos of the water rides! 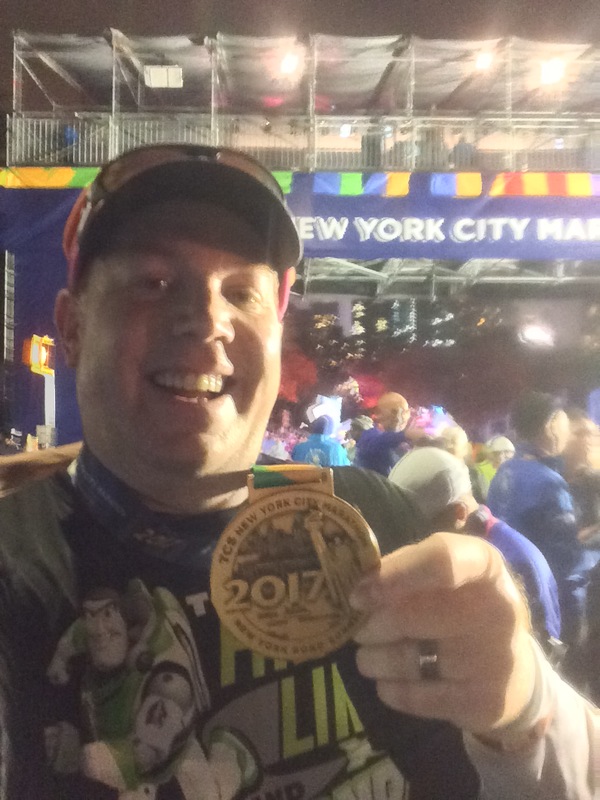 Greg at WhyIRunDisney.com is finishing up his virtual tour of the Animal Kingdom at Walt Disney World today. Enjoy.